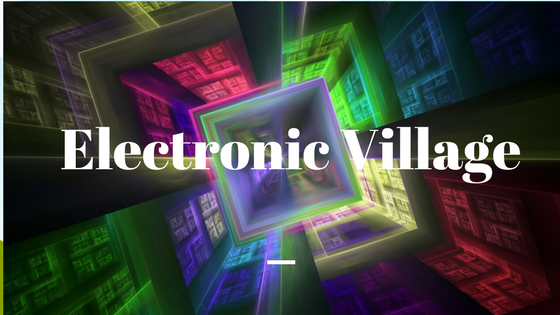 In the three years that I have been involved in the Electronic Village Online sessions, I have always been asked what they are. It surprises me to know that such an enriching and accessible professional development opportunity is not as known as it should be. If you, reader, are asking yourself that question as you start this blog post, then you are in for a pleasant surprise! EVO stands for Electronic Village Online, which is an online space where teacher development takes place from and for English language teachers around the world. In 2000, the initiative was conceived by Christine Bauer-Ramazani, Tom Robb, and Susan Gaer as a project for TESOL (Teaching English to Students of Other Languages) association within the Computer Assisted Language Learning interest section. This project, which has been ongoing for the past 18 years, has been open to TESOL members and non-members. So anyone can participate! 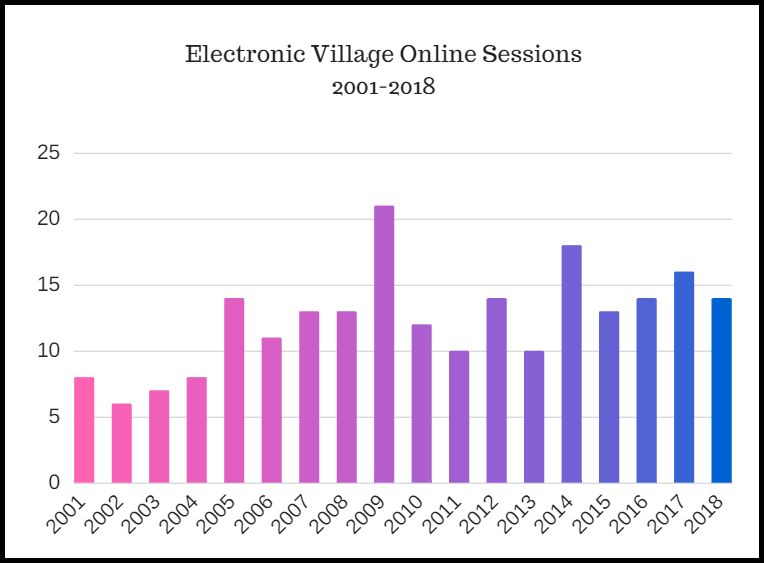 On average, about 15 different sessions are offered in January every year by volunteer educators committed to contributing to the global pool of knowledge that online learning can offer. Throughout the years, since it started, a variety of sessions have been offered. More than 200 sessions since 2001! Look at the variety of learning topics that have been offered! Did I mention it was free? 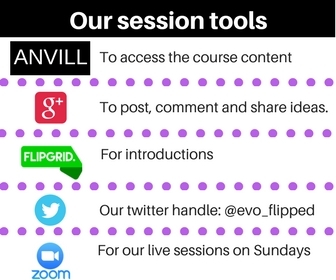 I heard about EVO in 2015 and couldn’t believe such passionate and dedicated teachers could lead such a variety of five-week sessions at no cost at all: all for the love of teaching and sharing. 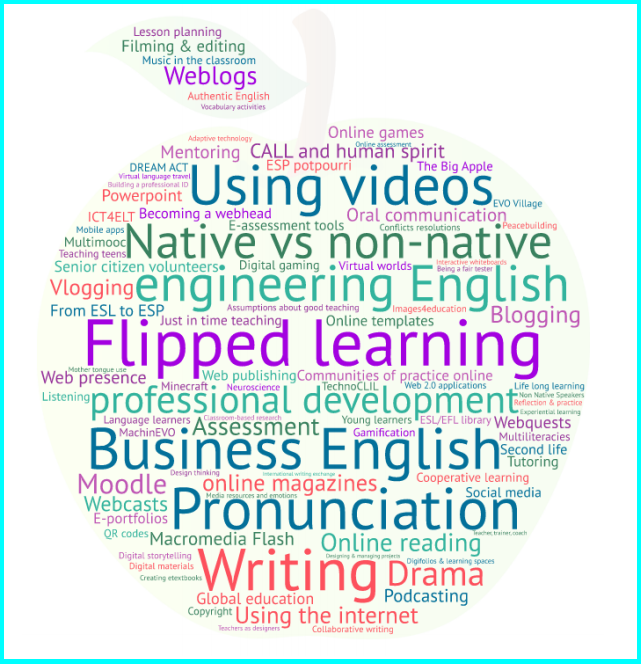 So I enrolled in two sessions for 2016: Flipped learning and Learning Pronunciation differently. What can I say? The experience was life-changing. It was through the Flipped Learning session that I heard of in-class flip in the first place and decided to give it a try. Now I’m an advocate of flipping and a number one fan of in-class flip! I even have my first official publication in this area. 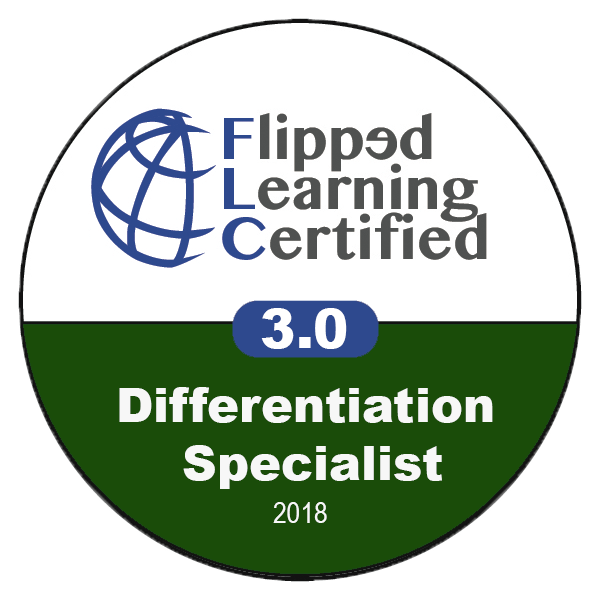 In 2017, I was asked to join the Flipped Learning Team. What an honor! At the time it was composed of Carolina Buitrago, Jeff Magoto, John Graney, Khalid Fehti, and Kevin Coleman. It was one of the best learning and professional development experiences I have ever had, so I came back for more. This year, the team got bigger. Yup, that’s right… a lot of Colombians got on board too! You can follow us on Twitter if you’d like to connect and know what we’re up to. This year I also became one of the coordinators for EVO2018. 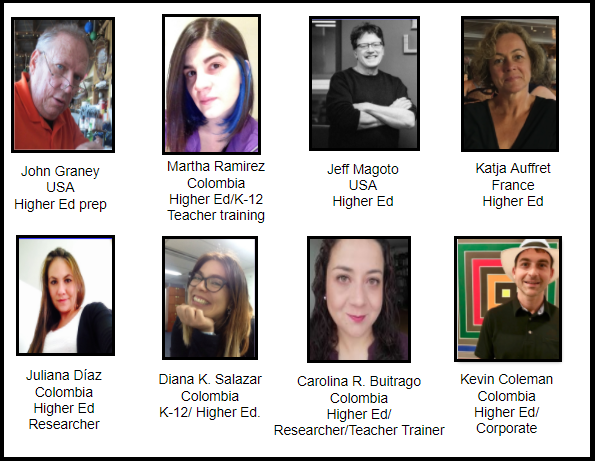 What a great honor to work with such admirable educators! Our job as coordinators is to make sure everything is set for the sessions to go live and provide continuous support (among many many other responsibilities behind the works of EVO). All the sessions EVO offers are of great quality and undoubtedly enriching. However, if you are interested in knowing more about the flipped learning session, let me tell you a little bit about how it works. In a period of five weeks, participants learn about what flipped learning is and what to keep in mind when applying it in their contexts. We reflect on content, flexibility, differentiation, learning spaces, active learning, tools, sharing, and collaborating, among others. 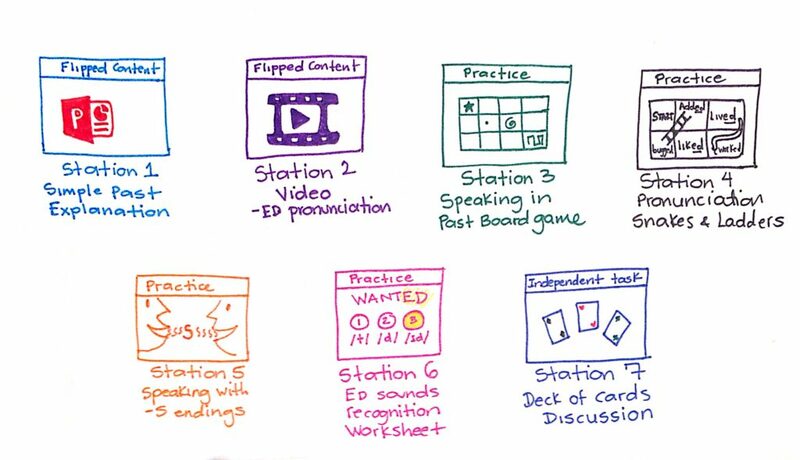 Participants are provided a number of articles from different authors and even some of the moderators themselves, various resources, and recommended tech tools with which they are expected to plan a flipped lesson (or in-class flip) by the end of the sessions. 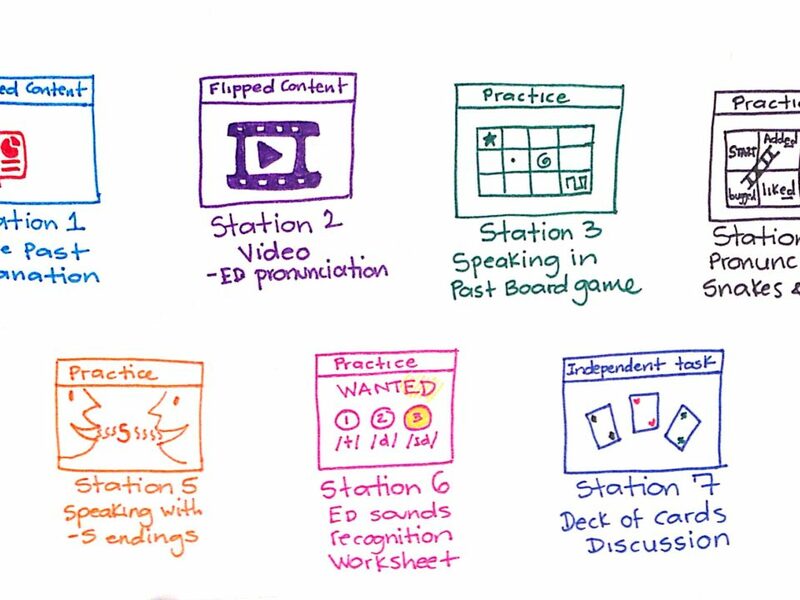 The planning process includes self-assessment, co-evaluation and a lot of teaching reflections that enrich the process for participants and moderators as well. 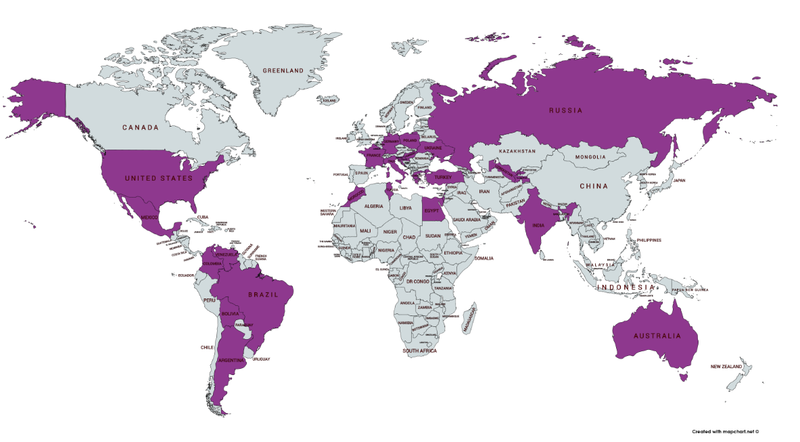 This year, we had 243 participants from different parts of the world. We also had very special guests who are well known in the flipped learning world. This year, we had the honor to speak to Helaine Marshall, Robyn Brinks Lockwood, and Una Cunningham in our live sessions! They enlightened us with their experience and flipping tips. Last year, we had Jon Bergmann, Ken Bauer and Kate Baker along with Helaine Marshall and Robyn Brinks Lockwood! Every year has been insightful with perspectives of flippers who have contributed to our learning and teaching with their unique perspectives and styles. If you have never had the chance to engage in any EVO session, I encourage you to do so. There are more to come and I assure you that you will not regret it! Moreover, if you are an English educator who has something you want to teach to the world, along with the passion and the time, feel free to send a proposal for a session when the call for participation is out. 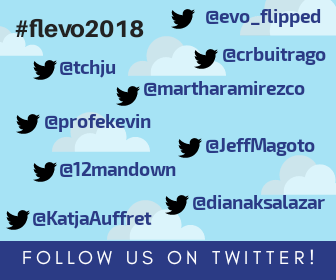 Follow EVO on Twitter to stay updated. I love your blog post, Martha. Thank you for capturing the enthusiasm behind EVO sessions!!! Thank you Nellie! I love EVO and what it stands for. I’m happy to be a part of this wonderful initiative. What a great post, Martha! I share your feelings about EVO and I would love to see more teachers join this great initiative. Thanks Natasa! Me too! Let’s hope the word gets out more. Fantastic, Martha, what a great testament to the miracle that is the EVO. You captured it perfectly.